Check in from 1400hrs. Relax in your luxury cabin before joining the guided tour of the famous city gates. Dubrovnik has an abundance of ancient historical buildings that date back to the time of the old Dubrovnik Republic. After admiring the classic Renaissance architecture, we take the cable car from the Old Town to the top of Mount Srđ. From this mountain vantage point you can enjoy spectacular scenic views of the ancient city walls and the Elaphiti Islands. Enjoy the evening welcome meet and greet cocktail reception on board. Departure to the charming village of Slano, situated on the mainland. 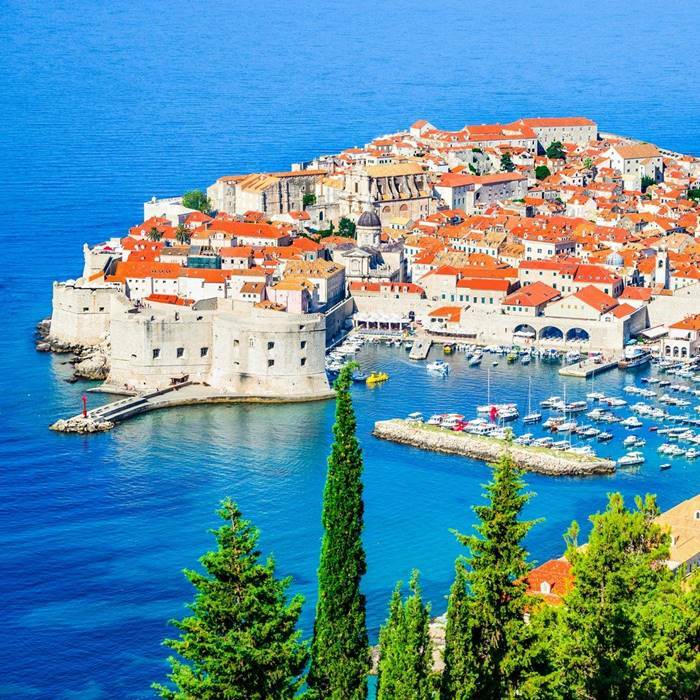 You can relax and enjoy the stunning scenery, as we cruise around Dubrovnik’s city walls before heading in the direction of the Elaphiti islands for a swim stop. Afternoon arrival in Slano. The traditional fisherman’s village was once fortified and is famous for its oysters. 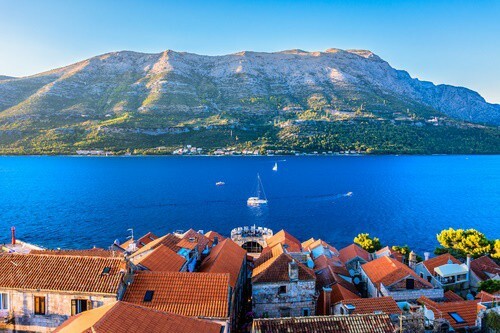 From Slano we head towards Ston, to explore the town’s medieval ramparts and coastal beauty. You will also visit an oyster farm and sample this popular delicacy. After breakfast we head further north to the Island of Mljet. 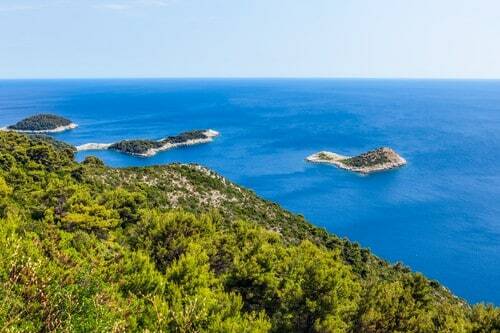 Join our cruise manager for a stroll to the Mljet National Park, where you can explore the famous salt lakes and enjoy a boat ride to St Mary’s Isle. The isle is situated in the centre of the largest Salt Lake and boasts an ancient Benedictine monastery, and an old abbey and Church that date back to the 12th century. Alternatively, you can hire bicycles, scooters or kayaks to discover other parts of the stunning National Park. Dinner on board. Overnight in port Polača/Pomena. 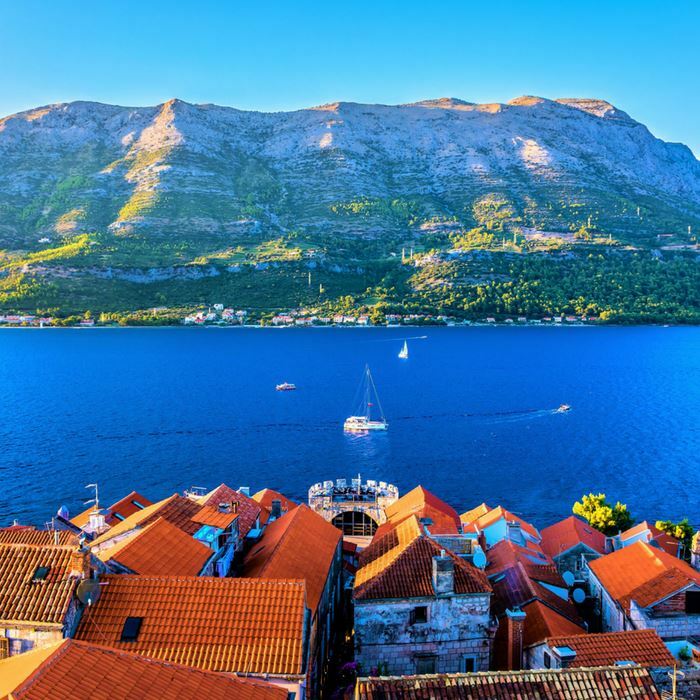 Sail towards the island of Korčula, which is known as the birthplace of the famous world explorer Marco Polo. Lunch in one of the beautiful secluded bays on route. Afternoon arrival in Korčula. Join the guided walking tour of this charming medieval town. The quaint streets of Korcula’s Old Town are designed to replicate a fishbone, in order to reduce the effects of wind and sun and provide shelter. 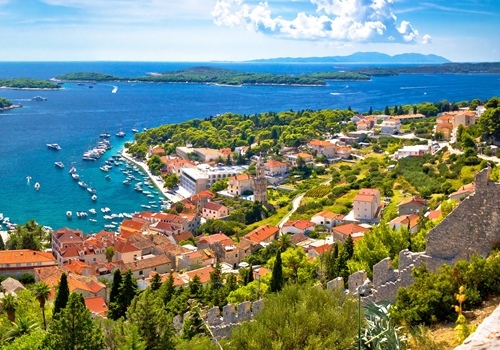 Korčula has plenty of lively restaurants where you can enjoy an authentic Croatian gourmet experience. 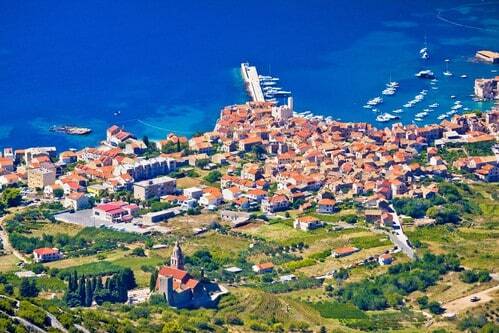 There is also an optional excursion to another small village near Korčula for typical Dalmatian dining. We continue to the peaceful island of Vis. The island was once a strategic Yugoslav naval base, and due to its secluded and isolated position, has a unique charm. Vis town, situated on the northern side of the island, is situated near to the remains of the ancient urban centre of Issa. You are welcome to sample some of the exquisite local wines made in one of the traditional wineries. There is also plenty of time to visit the remains of the City museum or to take a scenic walk along the waterfront and sample the local delicacies. Cruise towards the island of Biševo, visiting the famous Blue cave, a magnificent natural phenomenon (weather-pending). 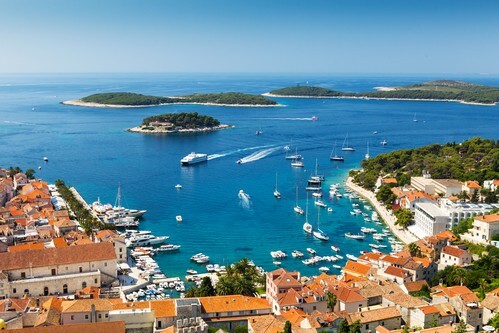 We continue towards the jet-set island of Hvar, the longest and sunniest island in the Adriatic Sea, known for its fragrant lavender fields and breathtaking beauty. We take a fascinating tour of the town, visiting the Renaissance cathedral, with its original tower, and the oldest community theatre in Europe. We will also have the opportunity to enjoy spectacular ocean views of the Pakleni islands after hiking up to the town fort, that overlooks the charming harbour. 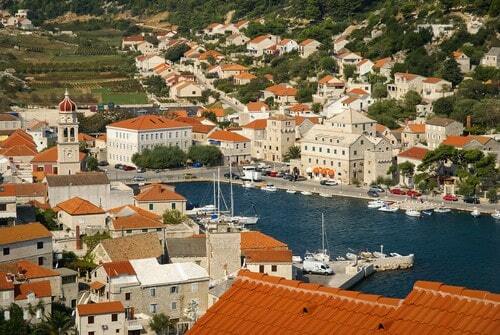 In the evening you can enjoy Hvar’s lively entertainment scene. Departure to Brač island. A swim stop is planned at the famous Zlatni Rat beach (Golden Cape), near Bol. The quaint typical fisherman’s village of Bol has become a popular tourist destination for island hopping visitors. 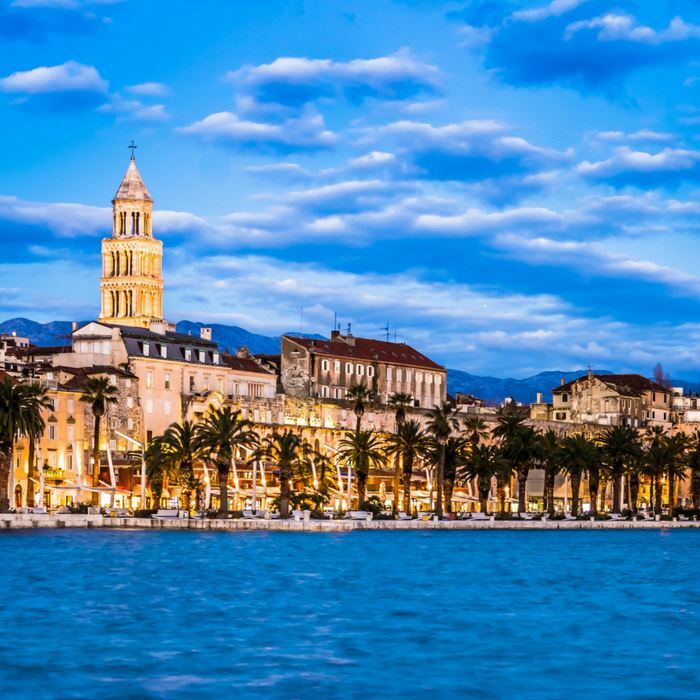 We continue towards Split to enjoy a guided tour of the historical city. You will discover an abundance of Roman architecture, including the magnificent and famous Diocletian Palace, which was once inhabited by the Roman emperor. Return to the ship for the farewell Captain’s dinner with live entertainment on board. After breakfast it is time to say goodbye to the crew and to all of your new friends. Check out by 09:00 hrs and transfer to Split airport.